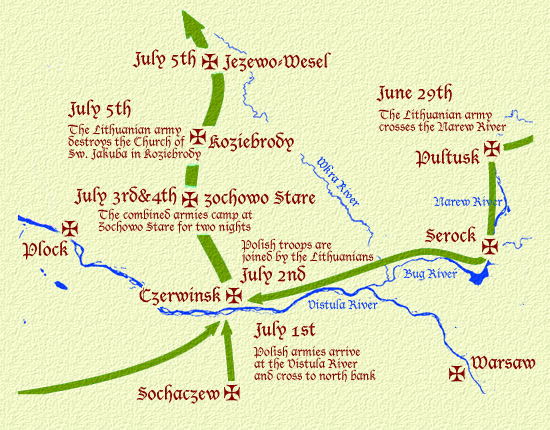 The original church of Koziebrody was plundered on July 5, 1410 by a Lithuanian army of roughly 12,000 under the command of Vytautas the Great - traveling, ironically, with a Polish army of roughly 20,000 under the command of Władysław II Jagiełło - passing through in full battle armor. They were on a 20 mile trek from Żochowo Stare to the south of Koziebrody (where the army camped the nights of the 3rd and 4th) to Jeżewo-Wesel to the north on way to The Battle of Grunwald. Eight days later, on July 13th, the same army almost entirely destroyed the village of Gilgenburg (Dąbrówno), so Koziebrody was actually lucky that they only lost the church. 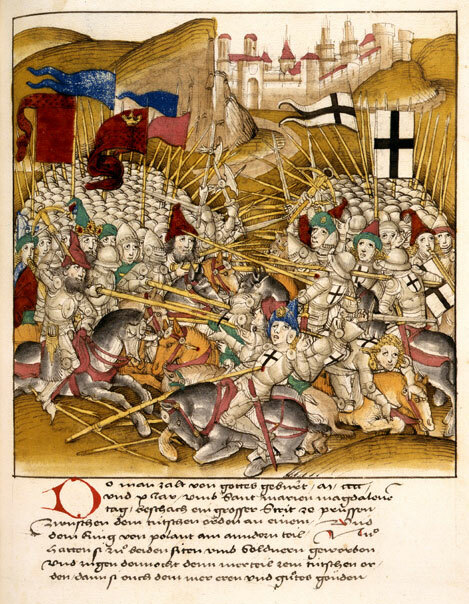 The battle, fought two days later on July 15th, was one of the largest battles in Medieval Europe and is regarded as the most important victory in the history of Poland and Lithuania.